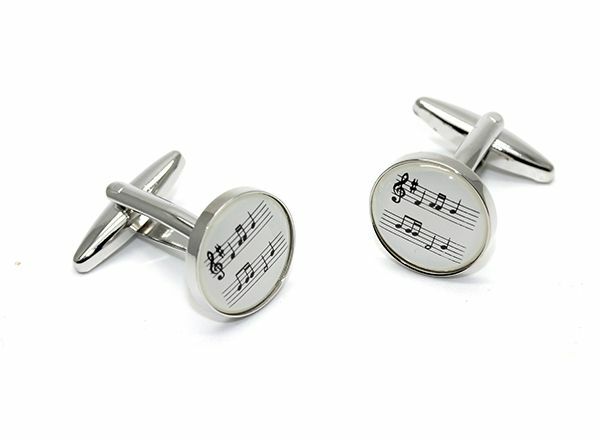 Music Stave cufflinks with black manuscript on white background mounted on a circular cufflink making a great music gift for any musician. They come in a presentation box for safekeeping. More musical cufflinks are available from our music themed cufflink section.